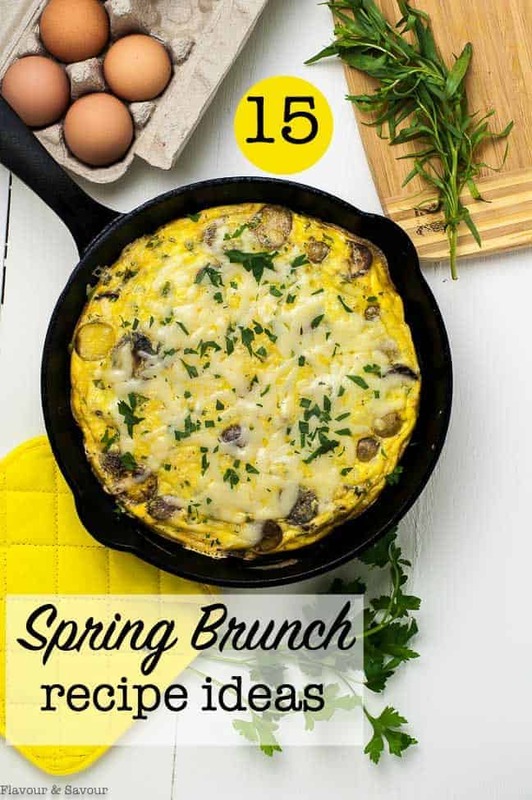 Springtime is full of occasions like Easter, Mother’s Day, Father’s Day (or any day) to host a brunch! Here are 15 Spring Brunch recipe ideas for your next lunch or brunch. These recipes include fresh seasonal ingredients, like lemon, strawberries, rhubarb, asparagus, mint, baby potatoes, and even carrot cake. You’ll find recipe ideas for yogurt parfait, egg dishes, salads, muffins, desserts, drinks and more. 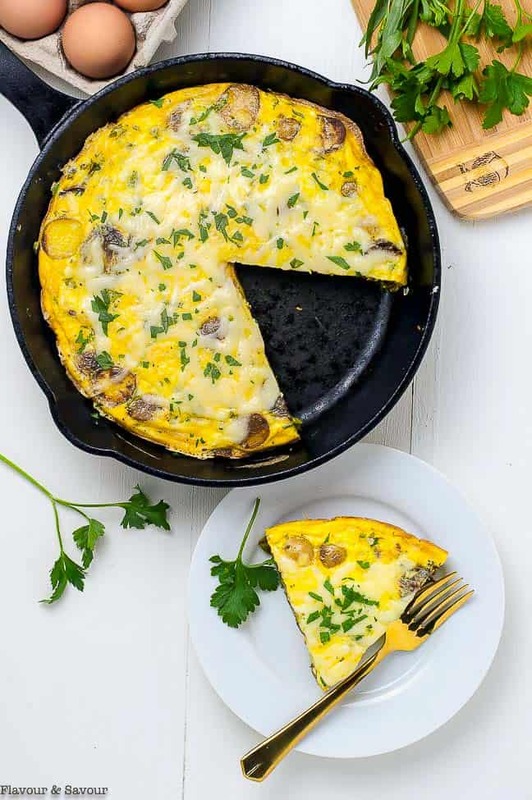 Keep it simple with a frittata or quiche, or pull out all the stops and plan a multi-course meal. 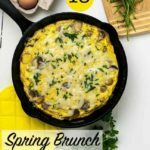 I hope these Spring Brunch recipe ideas inspire you to get together with your family and friends and share a meal. This strawberry rhubarb parfait could be a dessert, or it could be part of a healthy breakfast! 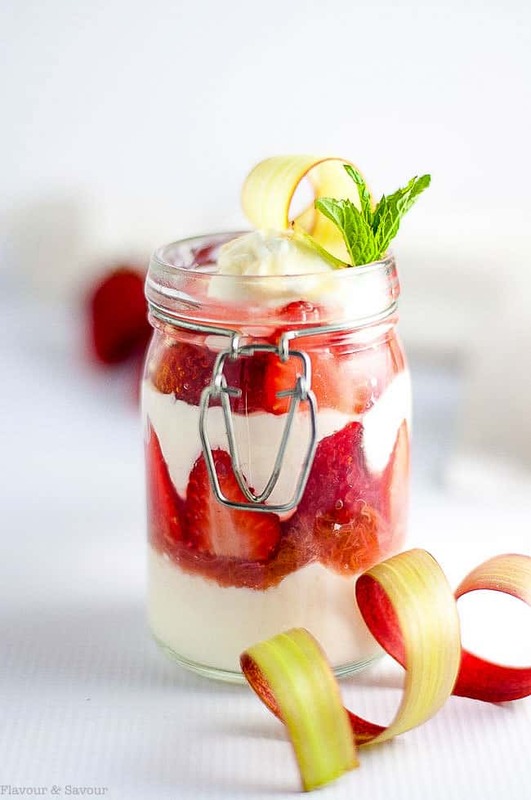 Layer your choice of yogurt with rhubarb compote and fresh strawberries. 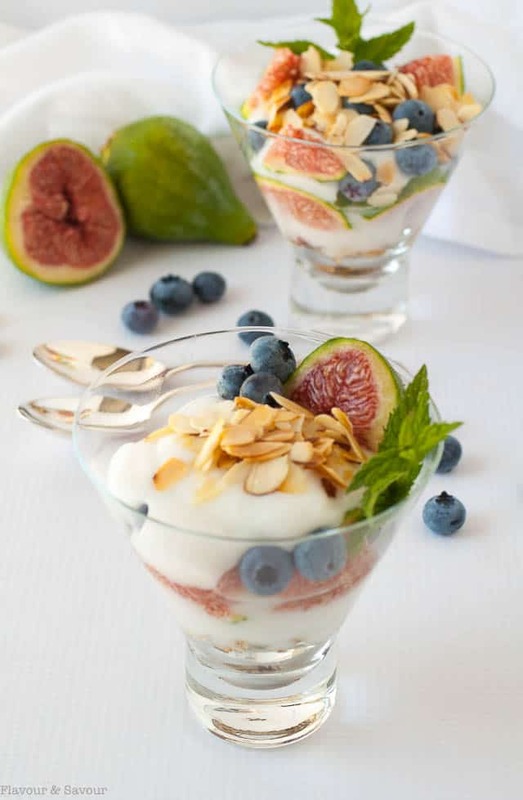 Here’s a cheerful breakfast parfait made by layering granola, yogurt, fresh sliced figs, blueberries, and almonds with a drizzle of maple syrup or honey. Made with baby potatoes, asparagus and leeks, this light cheesy frittata is vegetarian and gluten-free. 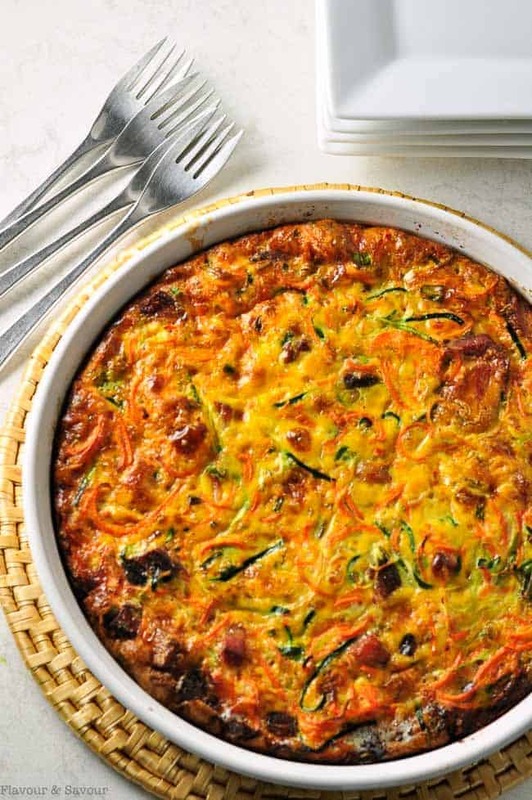 A delicious crustless quiche full of healthy vegetables and flavoured with bacon. Paleo. This salad with sizzling shrimp can be ready to eat in 15 minutes. 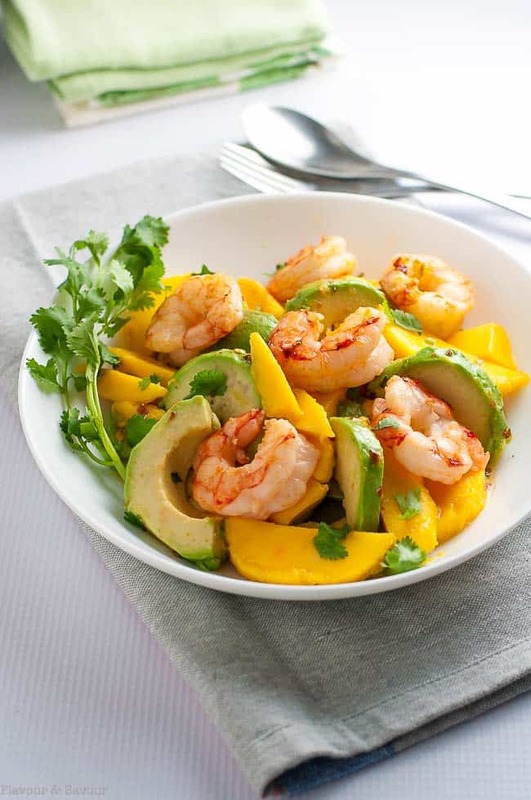 Sweet, juicy mangos, creamy avocado and tender shrimp all tossed with a lemon-lime dressing make a simple, but simply delectable salad. Love spinach salad but hate the high-fat buttermilk dressing? 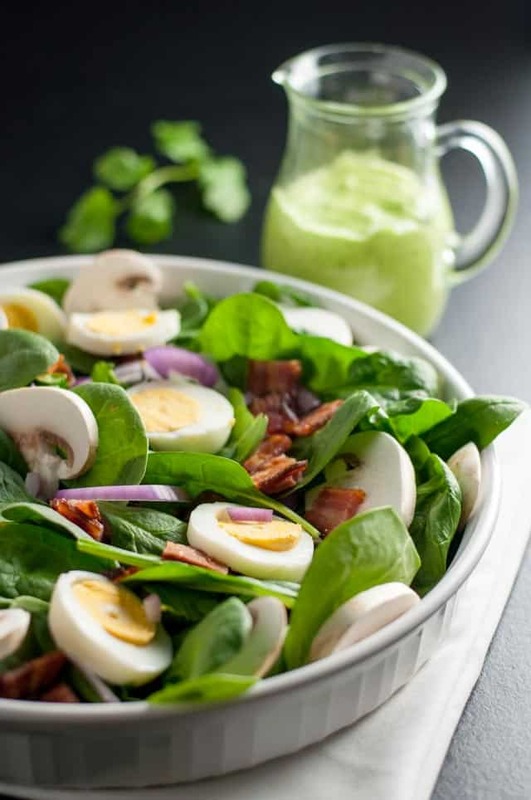 Try this updated paleo spinach salad with creamy dairy-free avocado dressing. 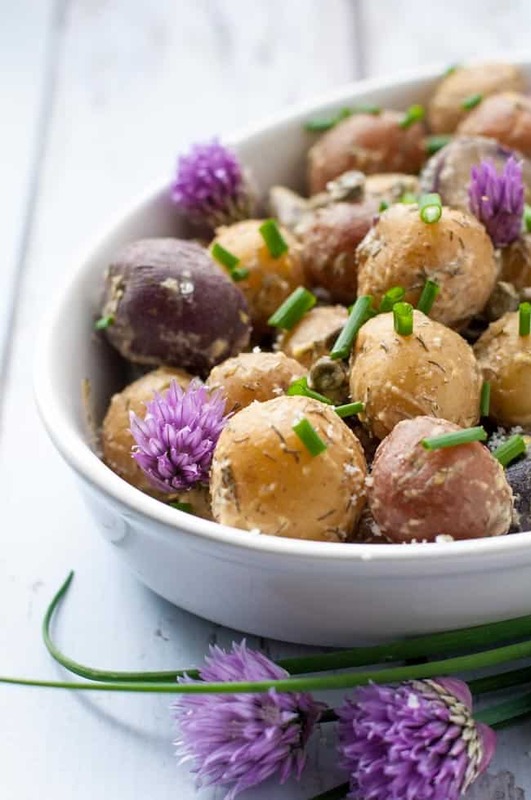 Made with baby potatoes, capers, dill, chives, Dijon, and a light, creamy lemon-tahini dressing this potato salad is mayo-free! 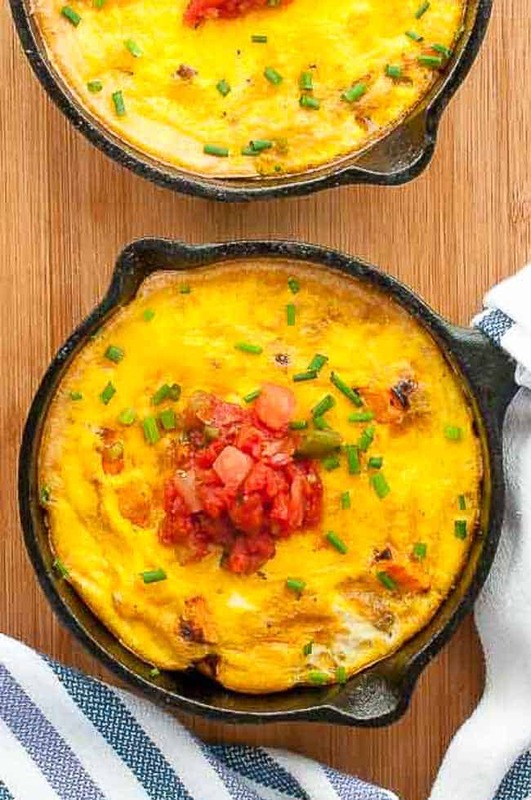 A Tex-Mex style frittata, flavoured with shallots and fresh chives and topped with homemade or store-bought fresh salsa. 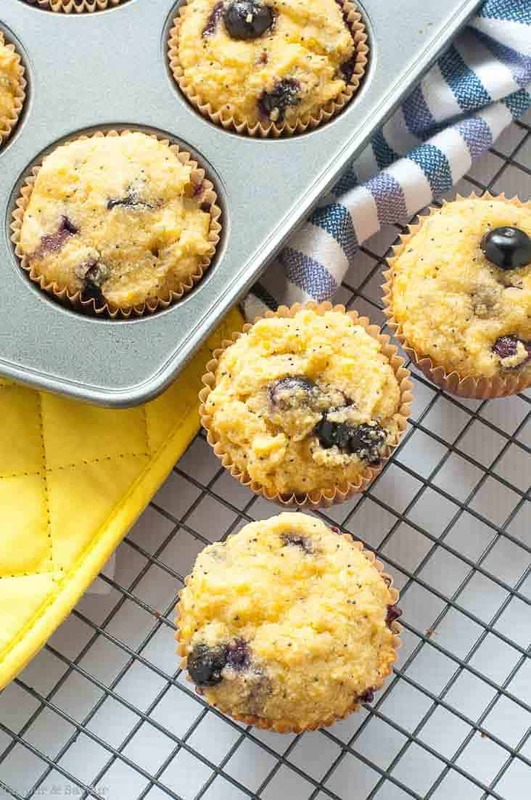 These muffins are made with almond flour, honey, and fresh blueberries. They’re light and lemony and they’re gluten-free! Paleo. My favourite muffins for Spring! This dip makes an easy appetizer for a casual get-together. Made with cannellini beans, it is similar to hummus but made without chickpeas. Serve with veggies or pita chips. 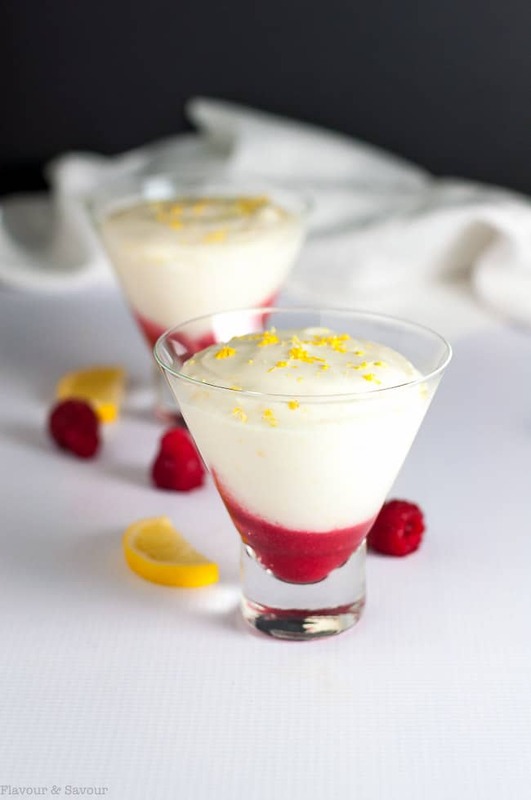 This delicately sweet and airy Light Lemon Mousse is made without raw eggs. Made with Greek yogurt, it’s flavoured with fresh lemon juice and your choice of sauce. Great with blueberry or raspberry sauce. Here’s a crowd-pleasing dessert. It’s gluten-free, dairy-free and sugar-free! 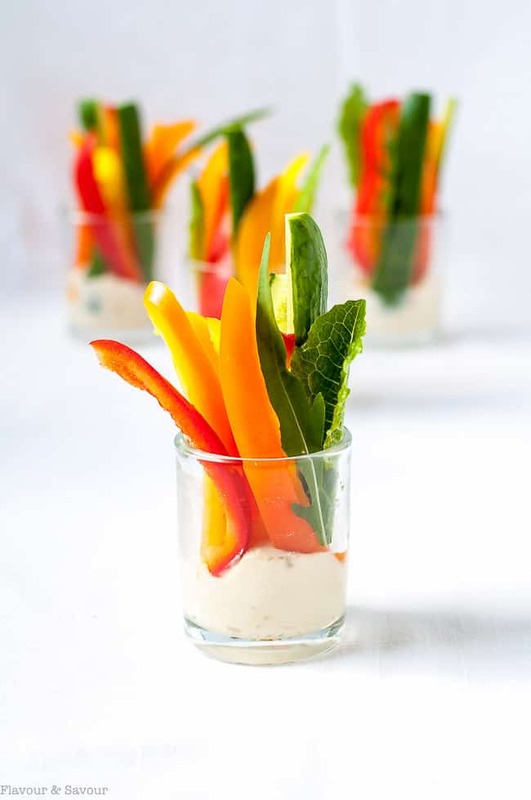 Fresh colourful fruits tossed with a light honey mint lime dressing makes an ideal potluck offering or dessert for your next get-together. 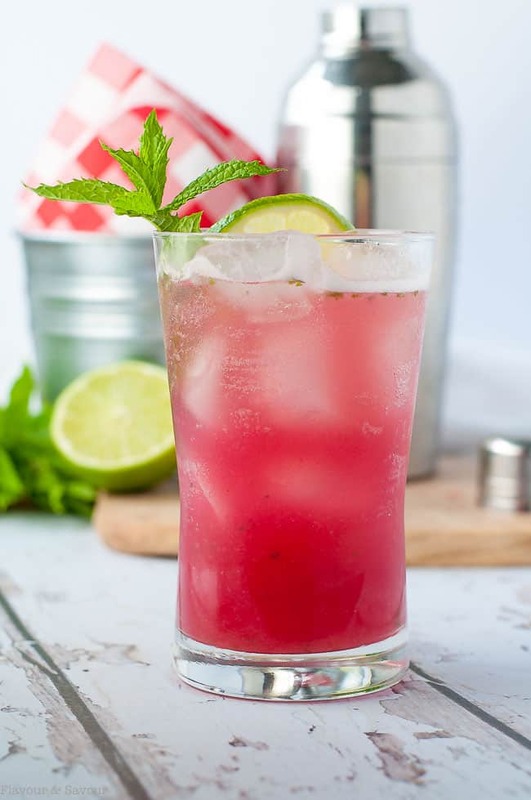 Welcome Spring with this Rhubarb Mint Mojito, made with fresh ingredients from your garden or farmer’s market. 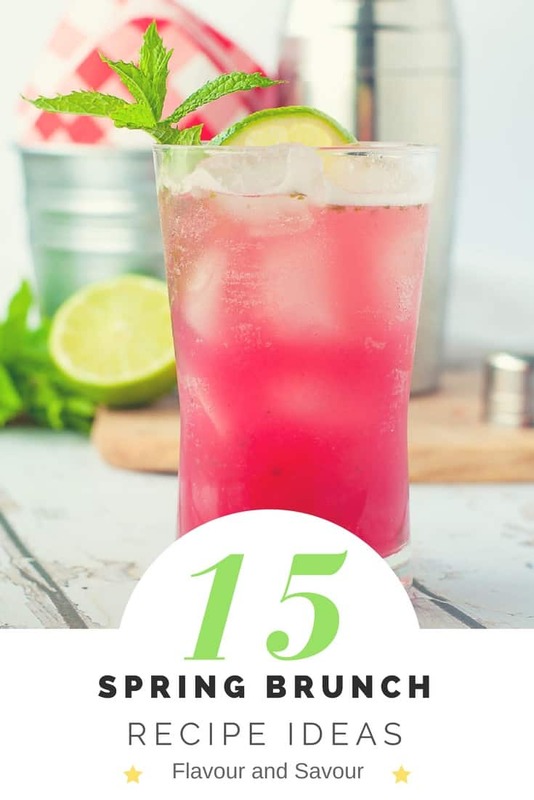 Mix rhubarb simple syrup with mint, lime, sparkling water and rum or make it non-alcoholic! 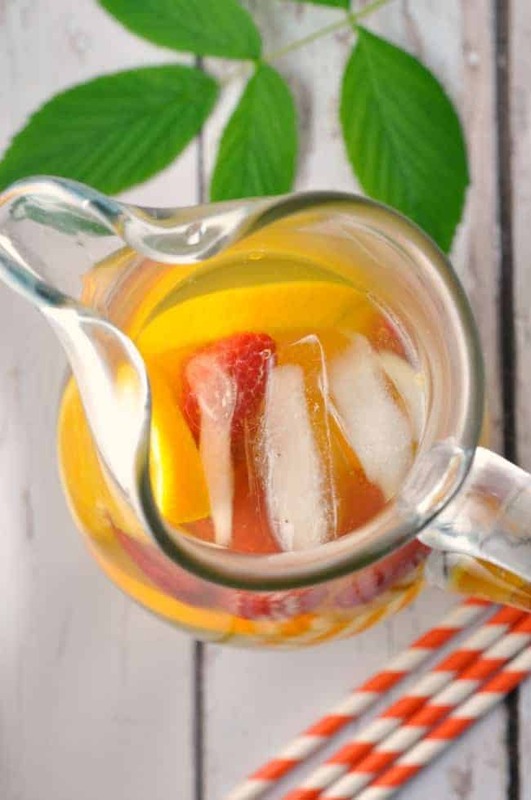 This herbal iced tea has a delicate, slightly sweet flavour. 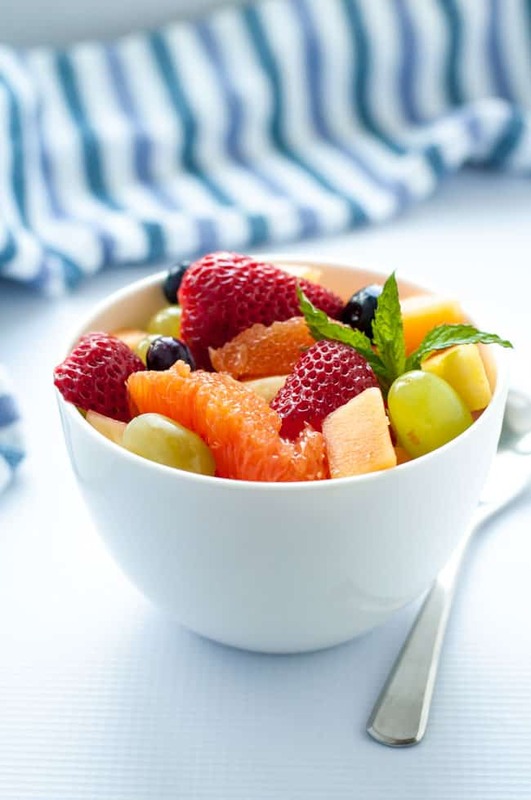 Garnish it with fresh orange slices and a few fresh or frozen raspberries, sit back, and let its antioxidant benefits relax and rejuvenate you! 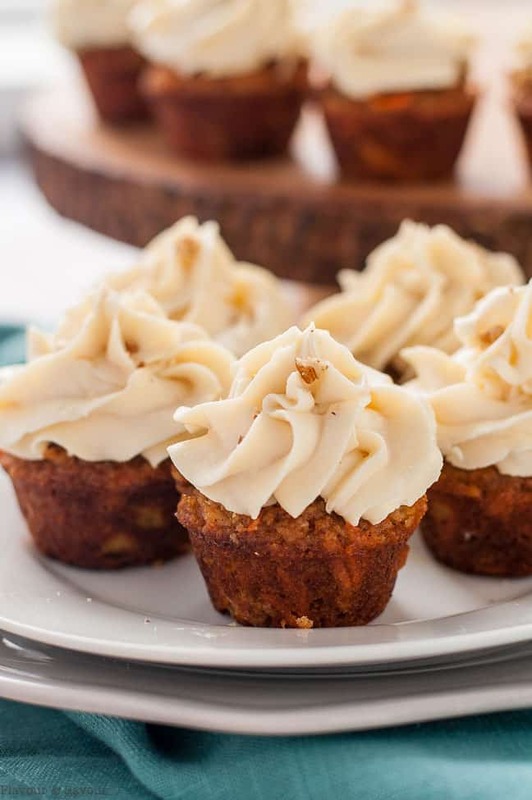 These tender, moist mini gluten-free carrot cake cupcakes are made without grains or refined sugar. Baked with almond flour and coconut flour, they’re naturally sweetened with pineapple and maple syrup. You won’t need any special equipment to mix up a batch of these one-bite cupcakes. Great for kids! Inspired to create some of these Spring Brunch recipe ideas?